To provide seamless movement of vehicles at toll plazas, FASTag was launched in the year 2014. The FASTag is a passive RFID tag affixed at the centre of the windscreen of vehicles. Vehicles can drive through the FASTag lanes at toll plazas after recharging their Tag accounts and the toll amount will be automatically deducted from the account. The rules made in 2014 also contained a provision that any non-FASTag vehicle entering the dedicated FASTag lane would have to pay two times the toll amount, i.e., 100% penalty. The government has now made it mandatory for all vehicles manufactured or sold after 1st December 2017 to have a FASTag. The dealer is mandated to complete the registration and affix the tag as per the procedure. Older vehicles can buy the tag at various point of sale locations or through ICICI or Axis Bank . A standard operating procedure (SOP) has been developed for both the FASTag users and the toll operators . FASTag is currently active in over 300 toll plazas across the country. Users can also call the customer care numbers of various banks in case of issues. The Ministry of Road Transport & Highways (MoRTH) in its written submission to the committee maintained that the provisions is simply mandating users to pay twice the user fee and not a penalty. The committee did not agree with the ministry and said that imposition of any kind of additional charges beyond the prescribed fee for any violation qualifies as penalty. The committee also noted that for substantive matters like imposition of penalties etc., the provisions have to made in the parent act and not through executive orders by the government. The committee recommended that the parent act be amended delegating the powers to impose penalty on the central government. During the course of the committee meetings, a representative of MoRTH informed that the concept of dedicated fast lanes is yet to take off in the country and hence the collection of such penalty has not yet begun notwithstanding the relevant provision to collect penalty. The government said that the non-FASTag users entering the FASTag lane may obstruct the seamless passage and hence two times the user fee will serve as a deterrent. 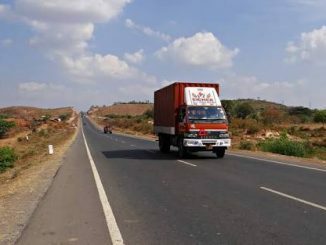 The government also said that large sign boards are present at every toll plaza indicating the dedicated FASTag lanes. The committee in its recommendations to the government noted that before imposing penalty on violators, the government must ensure easy availability of FASTags through various channels and also educate the people on using the dedicated FASTag lanes since the concept is new. Rakesh Dubbudu is the founder of Factly. He has been working on issues related to Right to Information (RTI) for a decade. He is a data/information enthusiast & passionate about governance/policy issues. 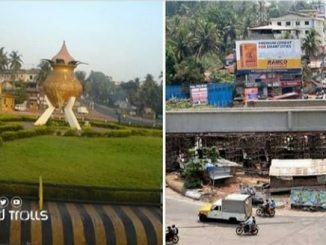 Why Mangalore citizens feel that the #10yearchallenge was made for them! 2019 will mark 10 years since the flyover project at Mangalore’s Mahaveer Circle was started under the National Highways Development Project. After countless missed deadlines, failed promises and futile dharnas, citizens have now taken to social media and other creative ways to vent their frustration. Before you let your minor ward take your scooter or car out, know that you may be jailed. 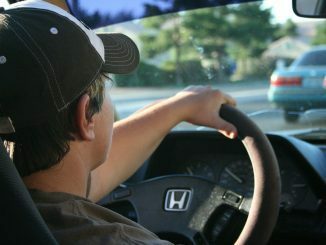 And once the amended Motor Vehicles Act is passed, this term could extend to three years.